Soothe. Soften. Save. 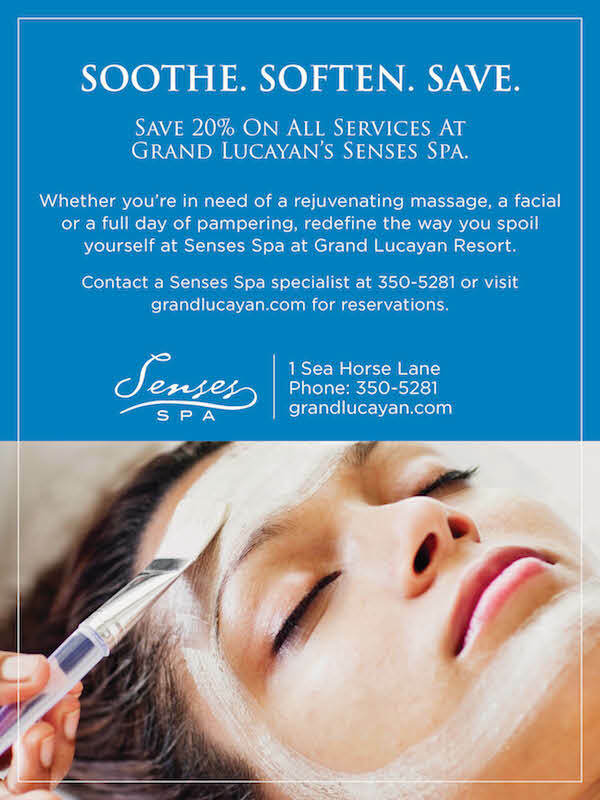 Save 20% on all services at Grand Lucayan's Senses Spa. Whether you're in need of a rejuvenating massage, a facial or a full day of pampering, redefine the way you spoil yourself at Senses Spa at Grand Lucayan Resort. Contact a Senses Spa specialist at 350-5281 or visit grandlucayan.com for reservations.